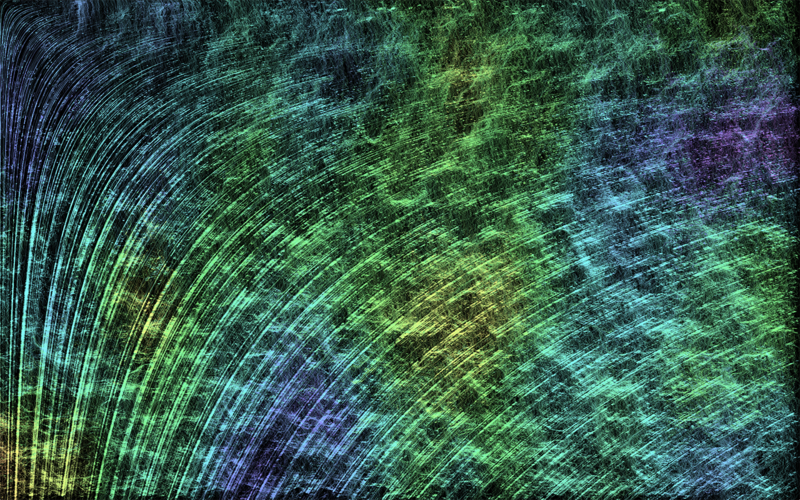 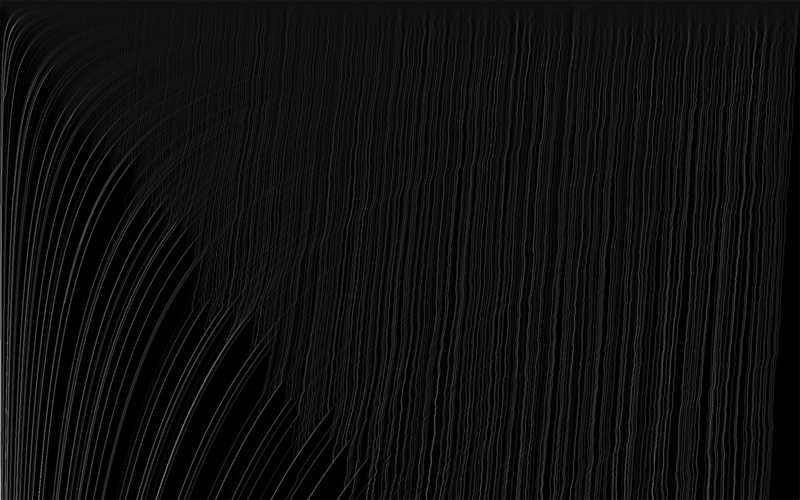 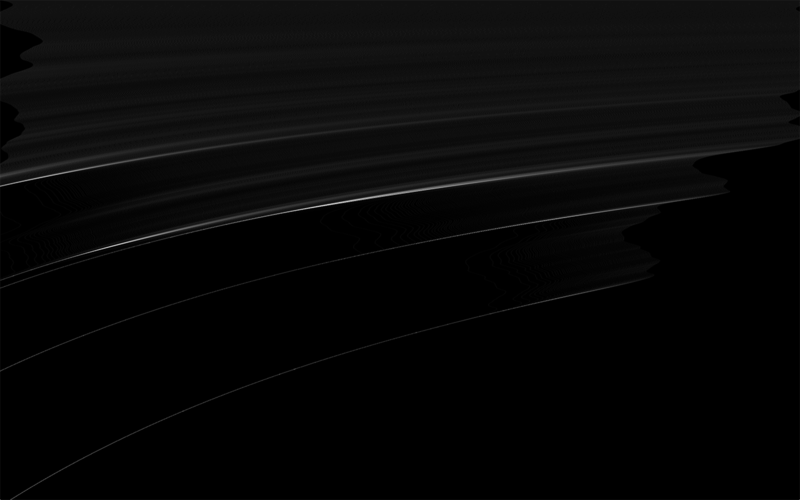 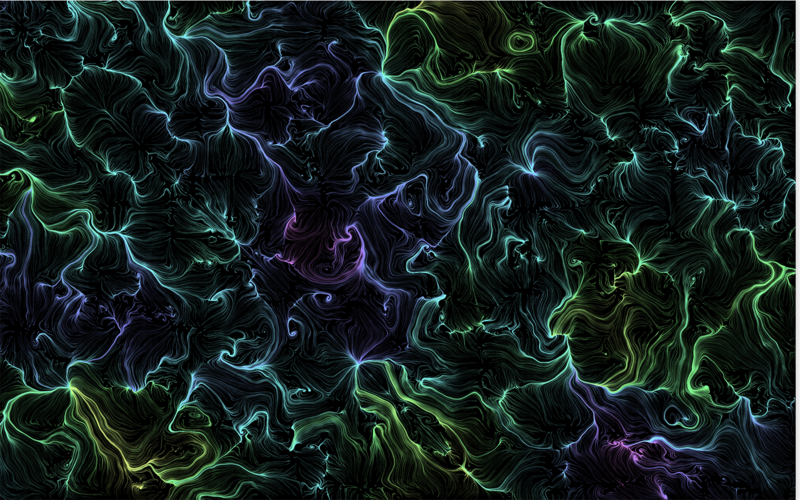 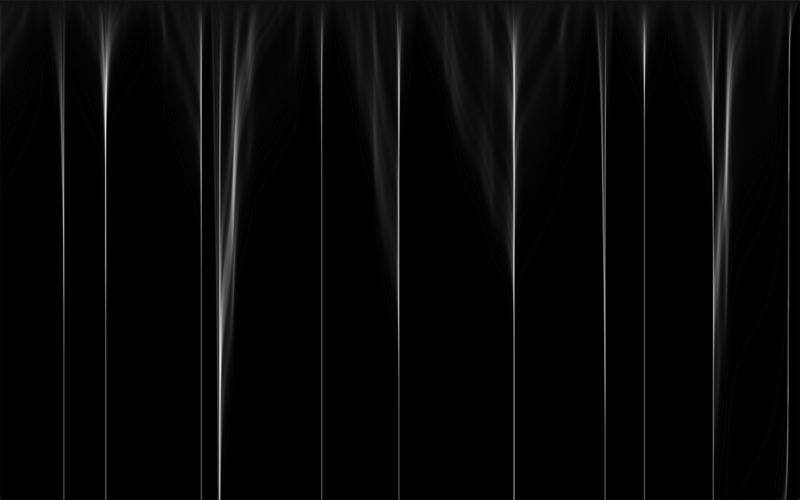 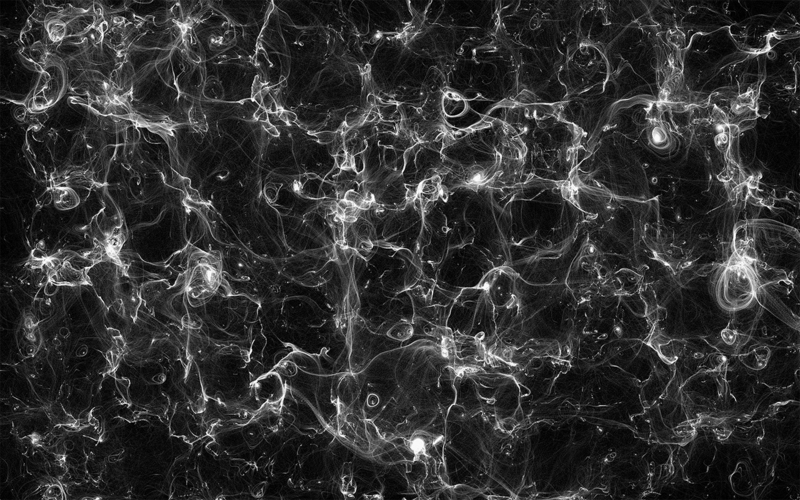 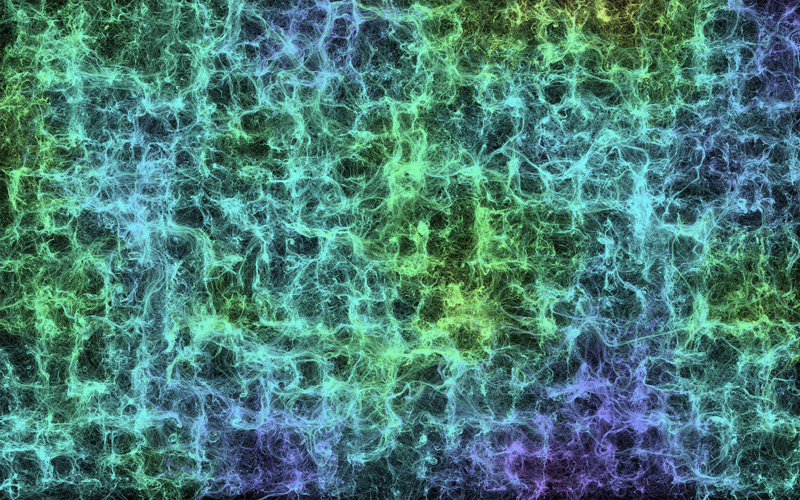 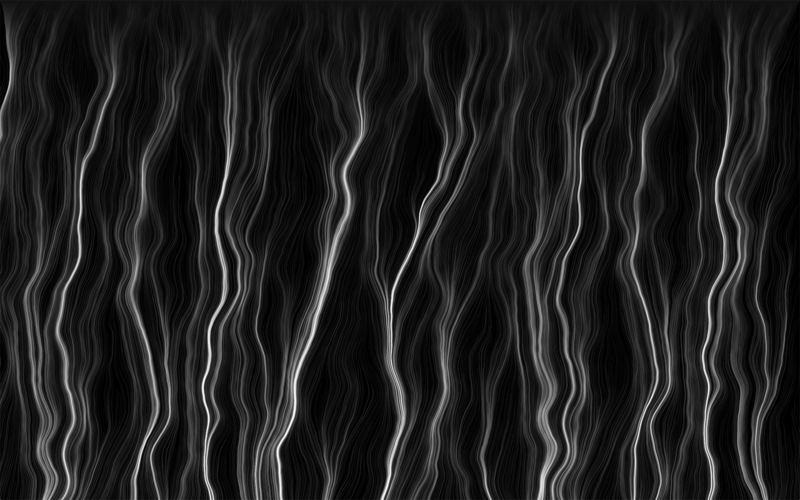 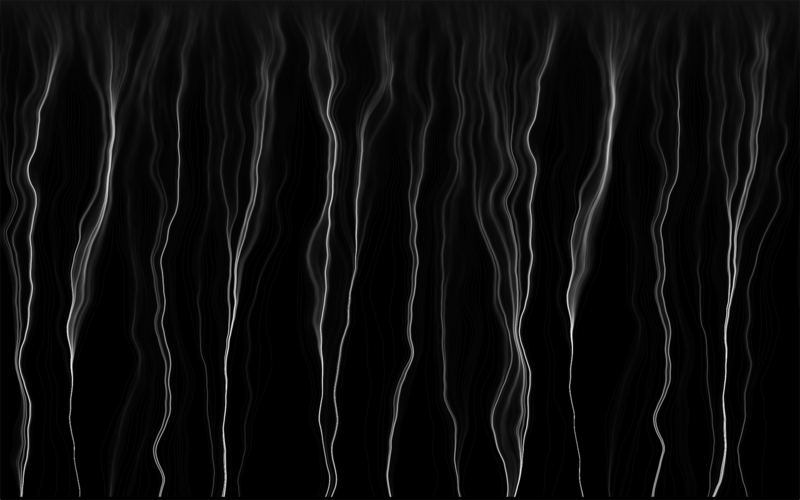 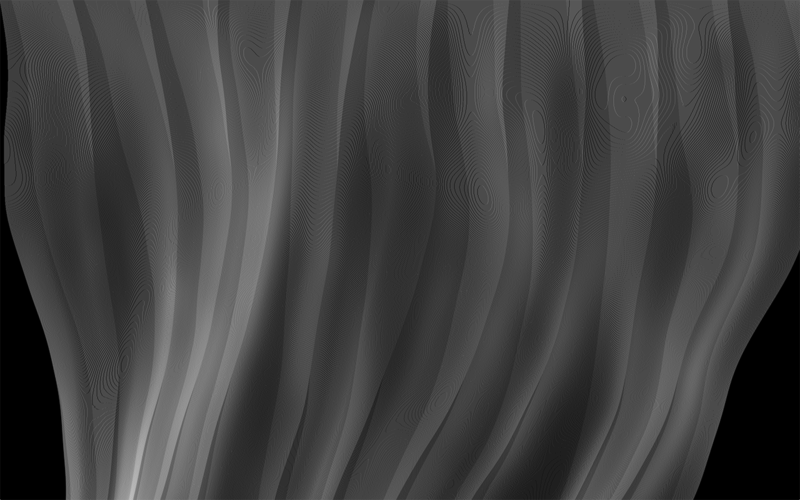 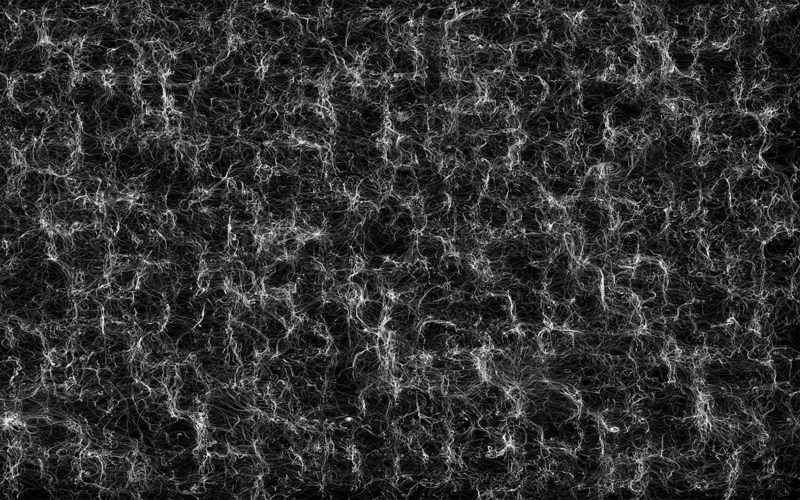 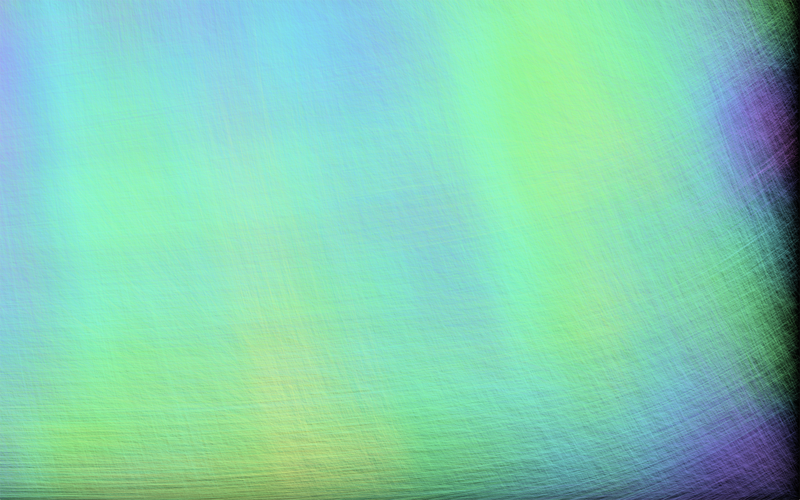 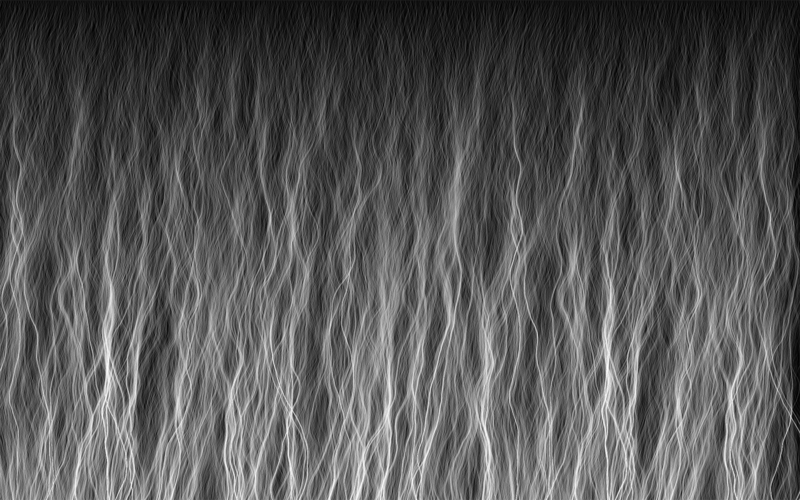 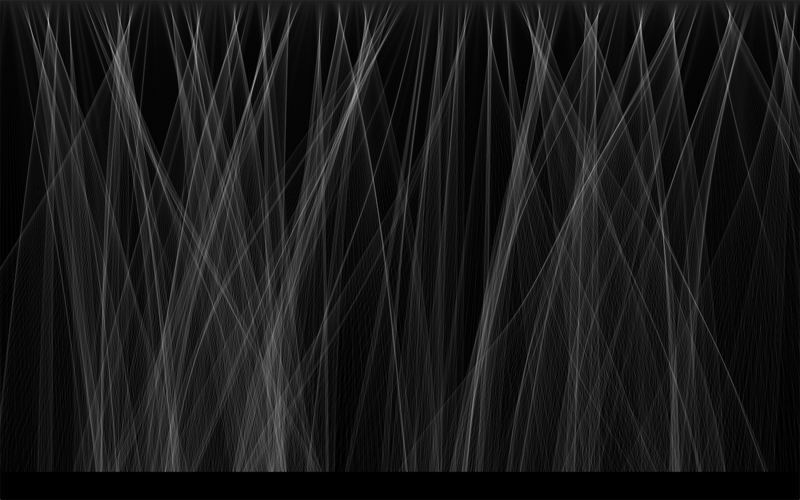 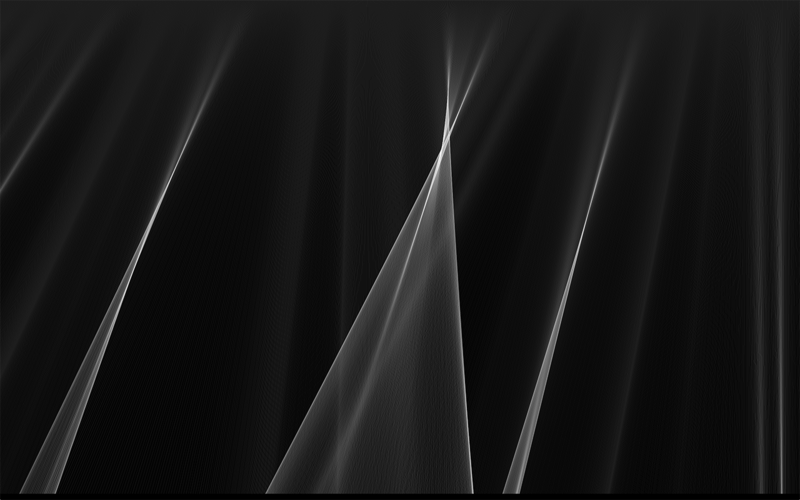 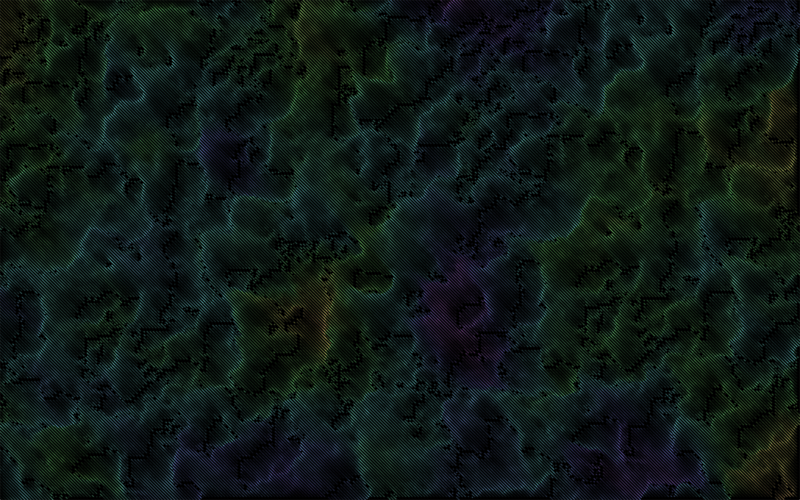 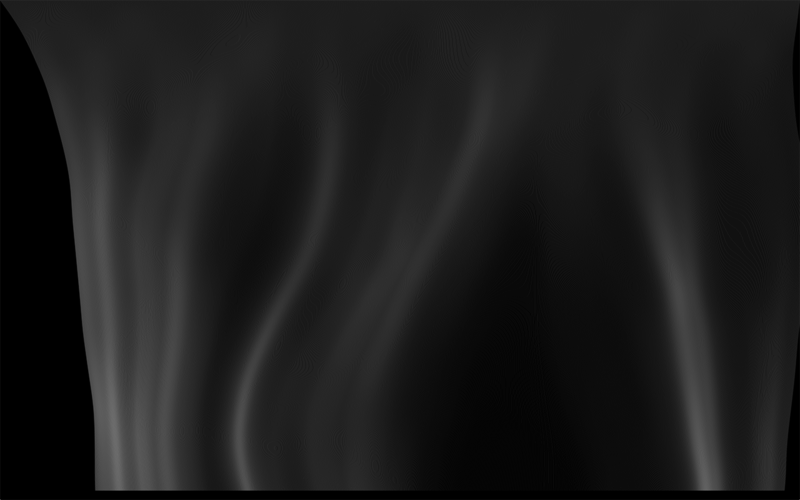 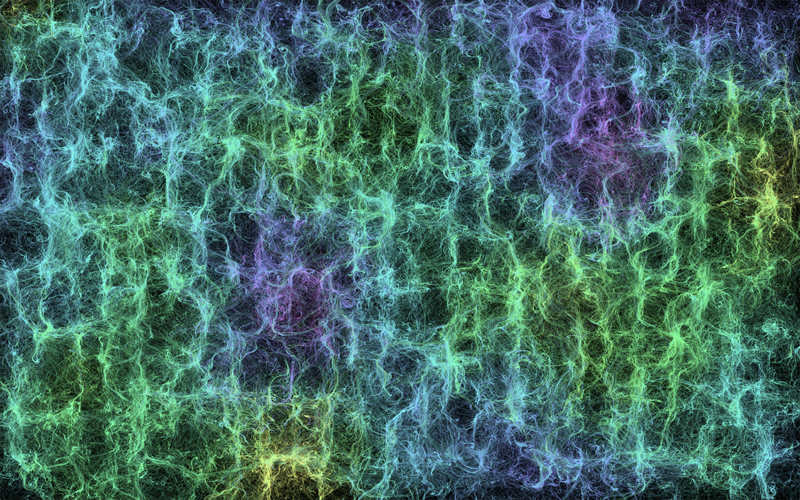 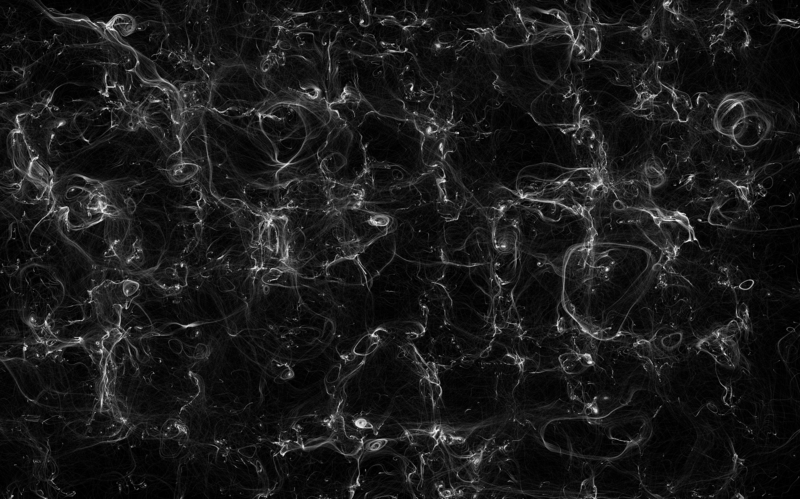 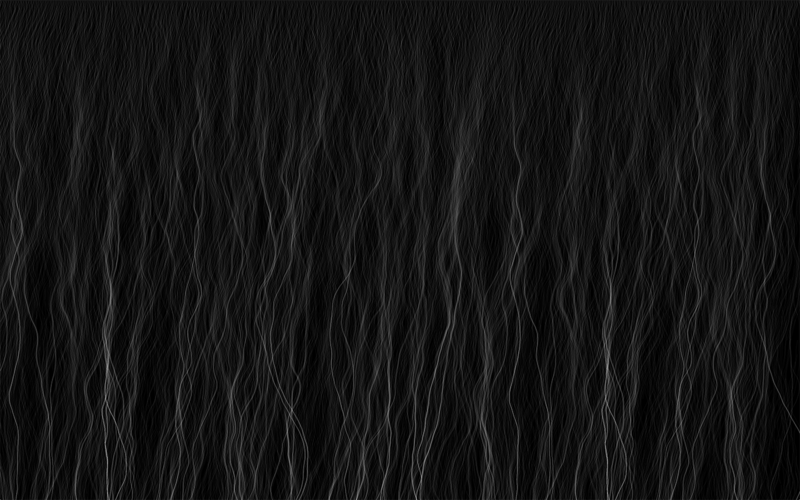 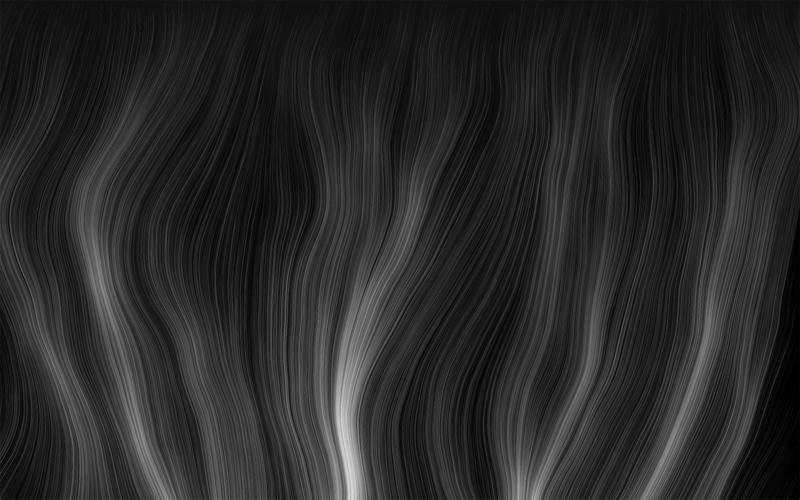 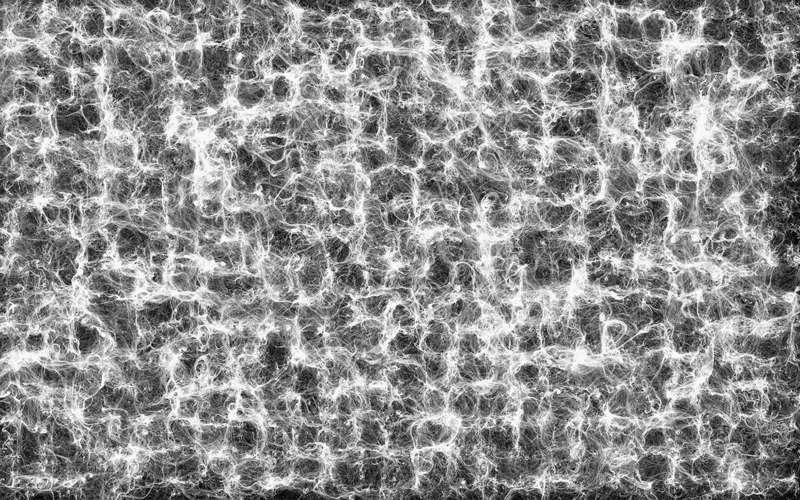 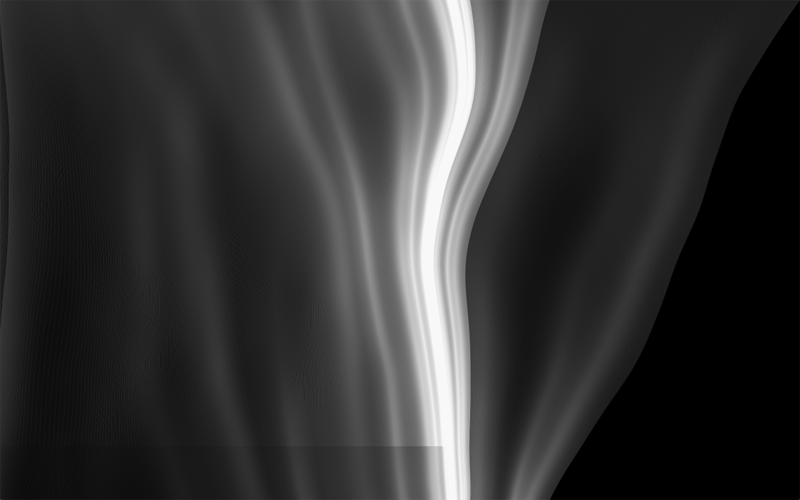 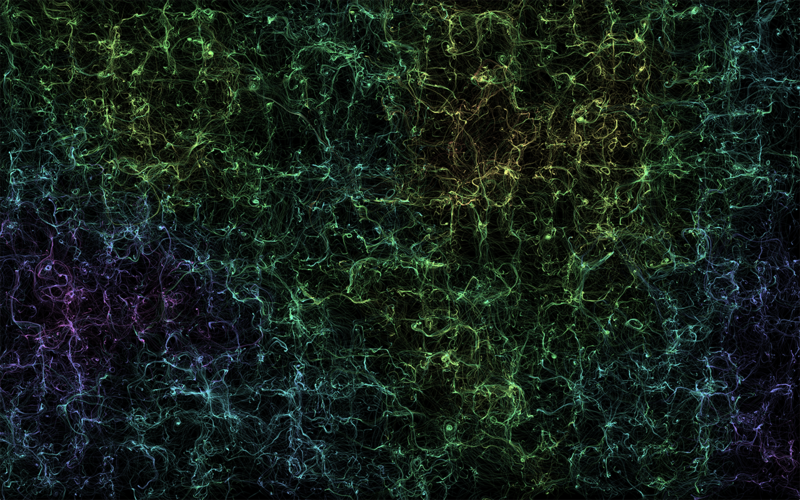 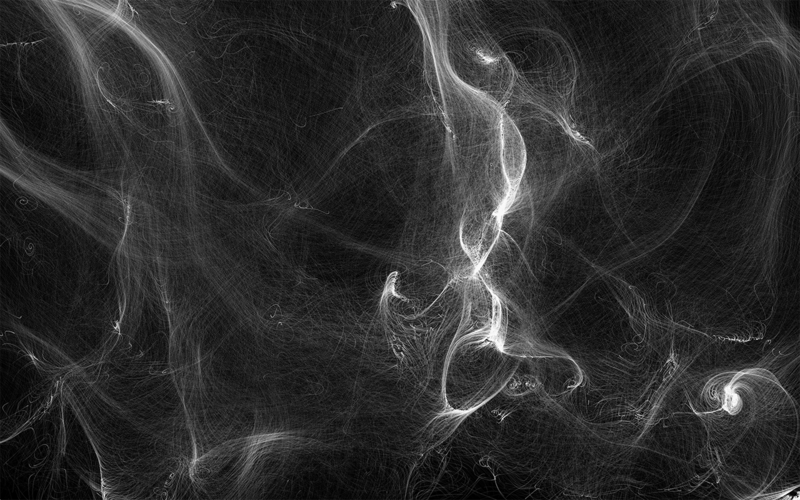 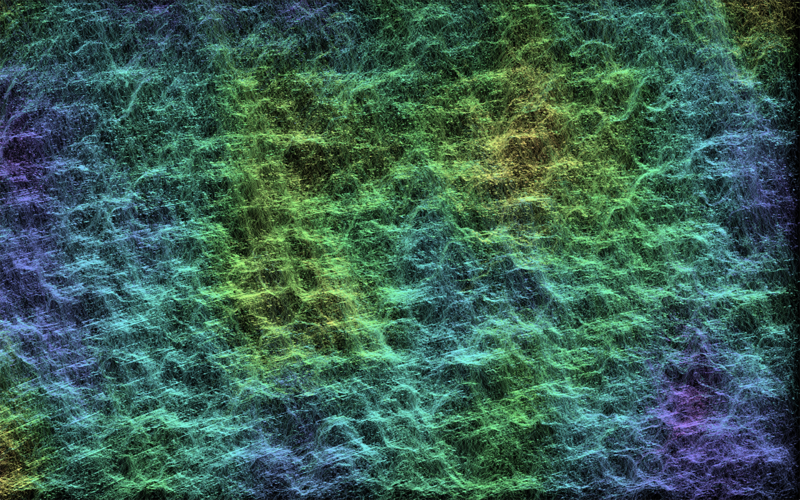 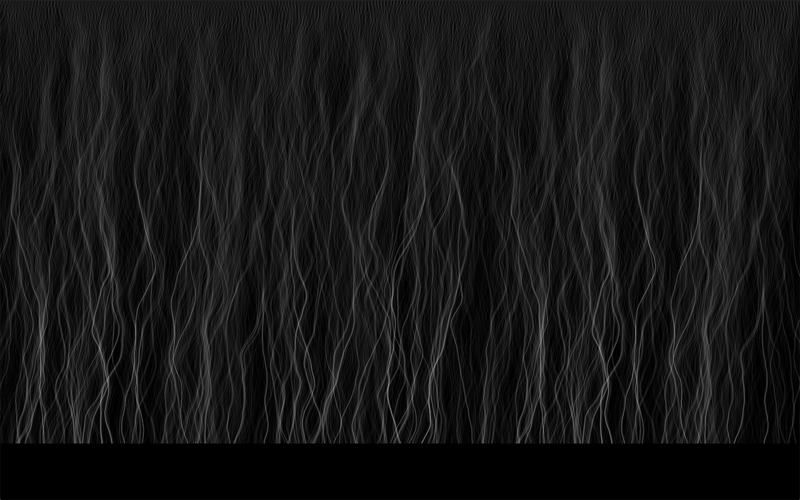 Particles follow paths derived from a two dimensional Perlin noise function. 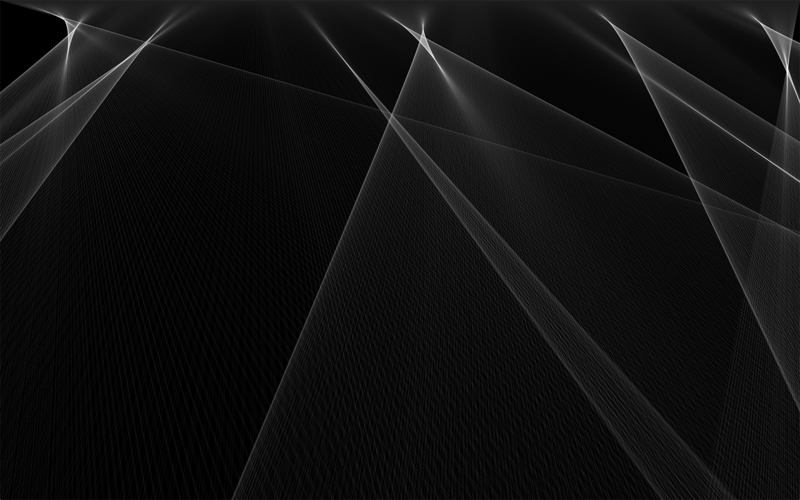 Paths are rendered with translucent pixels, making common areas bright. 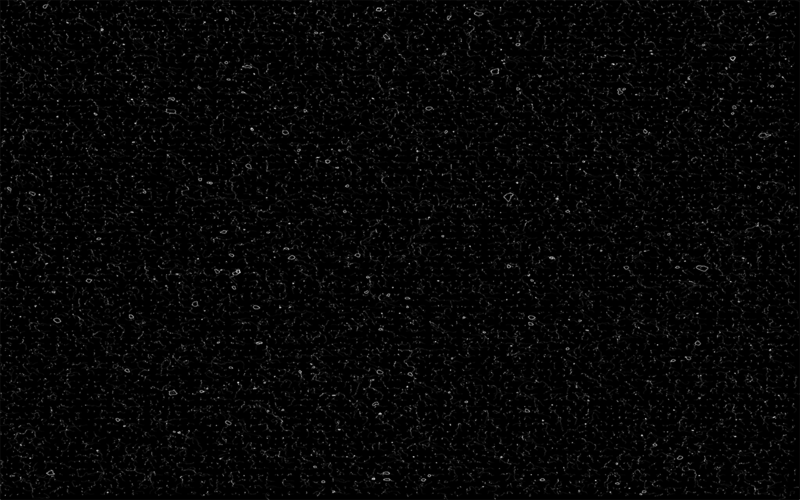 Where are you in this picture? 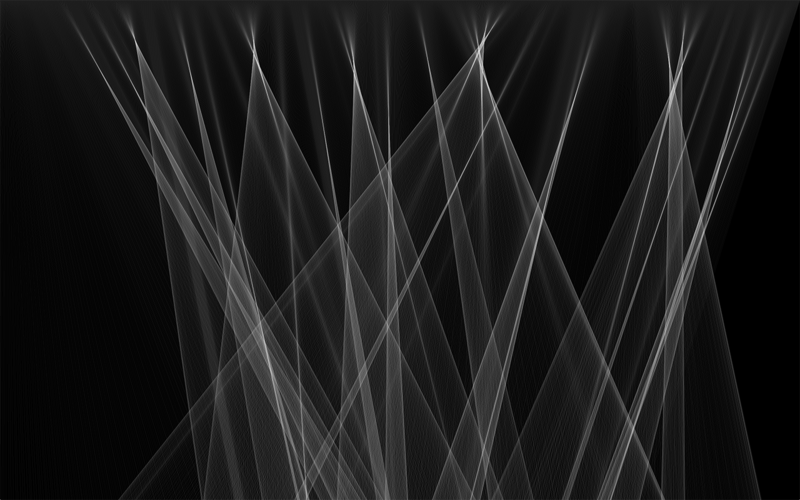 The evolution of this algorithm, presented in reverse order.